vampire throw aside the coffin lid and spring up to confront you! thread) to summon forth your choice of three terrifying vampires. 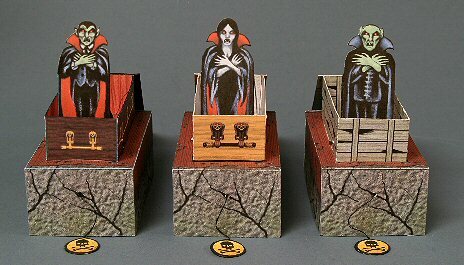 there's a selection of coffin plaques to further customize your toy. Easy to build and lots of fun to play with!